Anthem Pets has rescued thousands of dogs and cats since its humble beginnings in 2005 and we could not have done this without our dedicated team of Volunteers and Fosters. Every member, including the Board, is an unpaid volunteer. To join our team of volunteers please fill out a Volunteer Application. Then to keep up with our volunteer and foster needs, we encourage you to ‘Join’ our Anthem Pets – Volunteers & Fosters Facebook page. You can also see the events at which we need help on the Events webpage. For any activity which involves animals, volunteers must be 18 years or older. Sadly, this means that we have few activities for young volunteers. 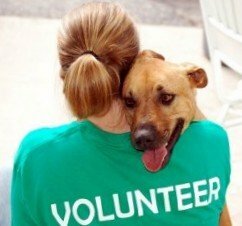 To find out about our volunteer needs, please come to our quarterly Anthem Pets Community Meetings, held on the second Thursday of the month in March, June, September and December. Meetings start at 6:30 pm and are held at the Anthem Civic Building, 3701 W. Anthem Way.